Goat hair. With a curved edge to place colour into the eye socket and a much flatter brush design to press powder onto the eyelids. If you would prefer an all-over single colour eye look or a medium toned eyeshadow as your base, then this brush is ideal. 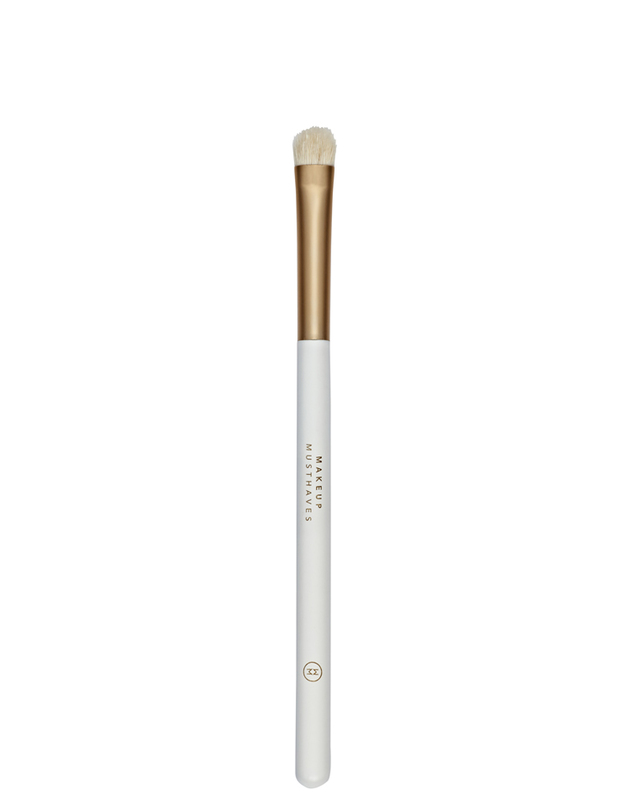 This brush is smaller than the Light Placer and works well with medium tone colours such as gold or taupe, ensuring the correct distribution of colour and preventing your eyeshadow from escaping from the eye lid. Wriggle the flat of the brush into your eyeshadow and tap off excess, press over the eyelid up to the socket line. This brush can also be used for detailed contouring around the nose and under the bottom lip.